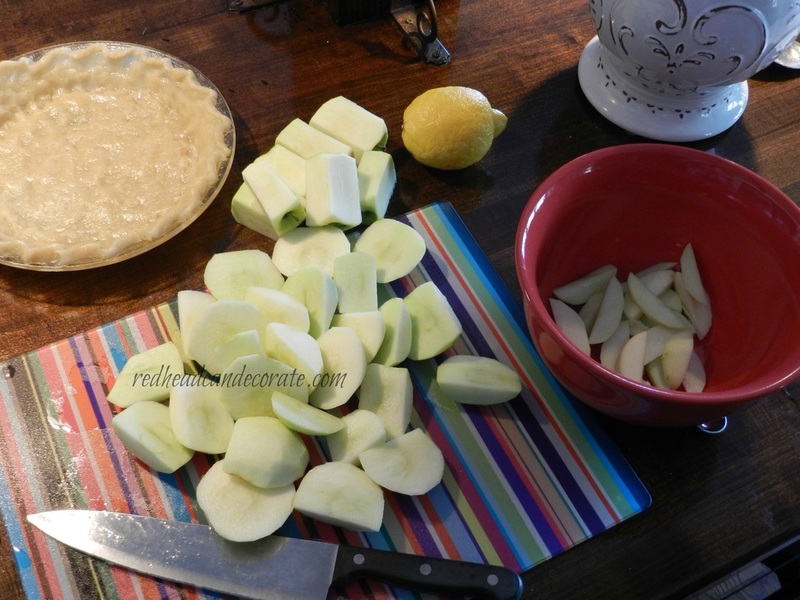 Today I’m sharing my Dutch Apple Pie recipe because there seemed to be a lot of interest last month when I mentioned it here At the Picket Fence. Now, before I get to the recipe…there has to be a story first. In fact, I think eating pie and telling stories are probably 2 of the best pleasures that ever existed. Don’t you? 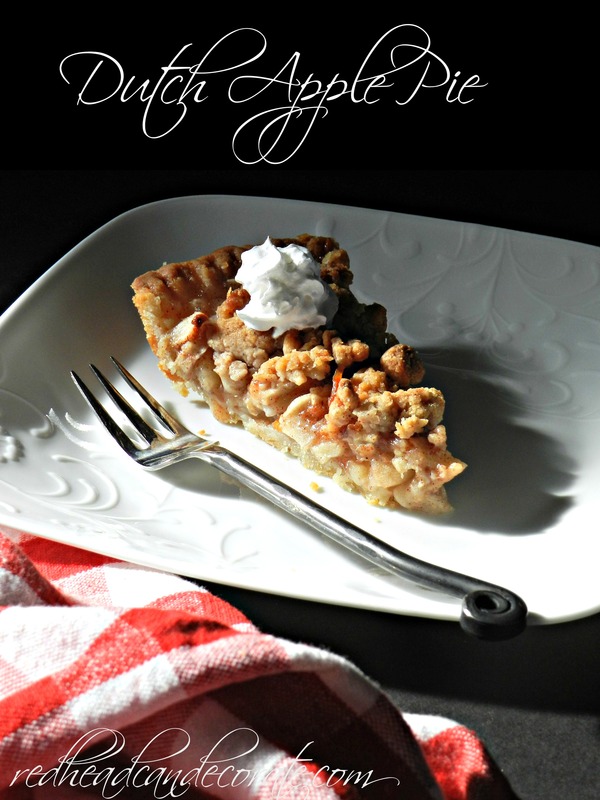 This Dutch Apple Pie recipe has been tweaked and tweaked to pure perfection over the years. I started making it for my family about 10 years ago and ever since it’s become a tradition this time of year. I’ve made this pie for my husband and daughters, my Mom and Dad, my sisters, and even my neighbors. My neighbor calls me Martha. So, now every Fall I hear, “Hey Martha! 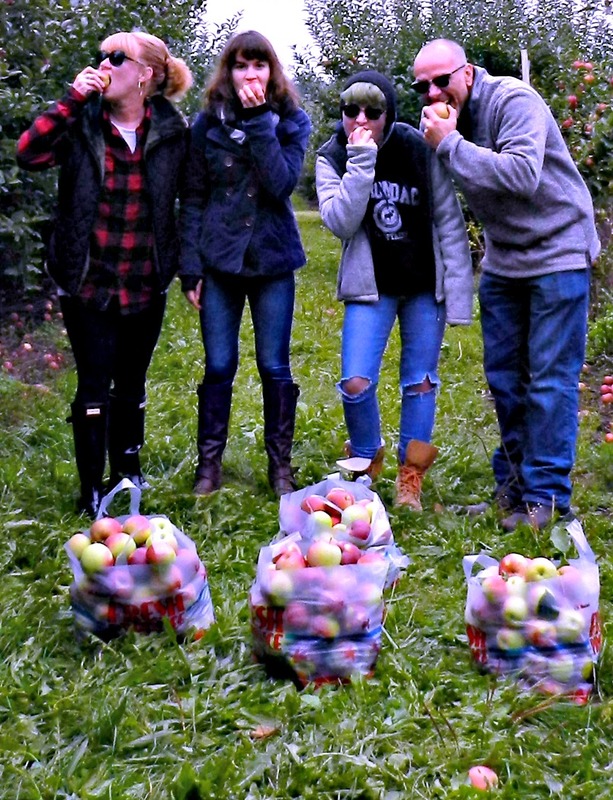 When are we getting our Dutch Apple Pie this year?”. It’s hysterical. All in good fun and good friendship. You will find that this pie is tart, yet sweet. Flakey, yet chewy. Best of all you will find that it is easy as pie. The crust is a no-roll, 10 minute, no-mess crust, that you mix in the pie plate. It takes an hour to make the pie in it’s entirety, and an hour to bake, and about an hour to devour. From my family to yours…enjoy! 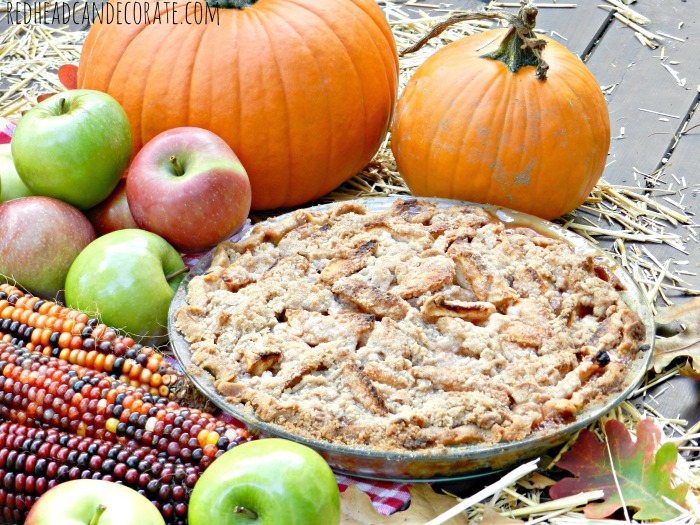 Mix all “crust” ingredients together into pie plate. You can double it (I did not) for an extra thick crust. Mix with spoon until you can shape it into a ball with your hands (happens pretty easily and quickly). Press dough out and up sides of plate with fingers to desired thickness (see photo). Make a pretty crust top with a fork mark, or pinch it with your fingers. Set aside crust and mix together “filling” ingredients from above in a large bowl. Pour onto crust…it’s okay if it over flows a little. Prepare topping by combining together the “topping” ingredients from above. You can use a fork if you don’t have a pastry blender. When mixture is crumbly enough for you…load up that pie with it. Pop that beauty into the oven for 50-60 minutes. Your house will smell like Autumn the entire day afterwards. Serve warm, with a big dollop of Cool Whip. (some people enjoy a chunk of sharp cheddar cheese on the side as well. Don’t forget the milk. 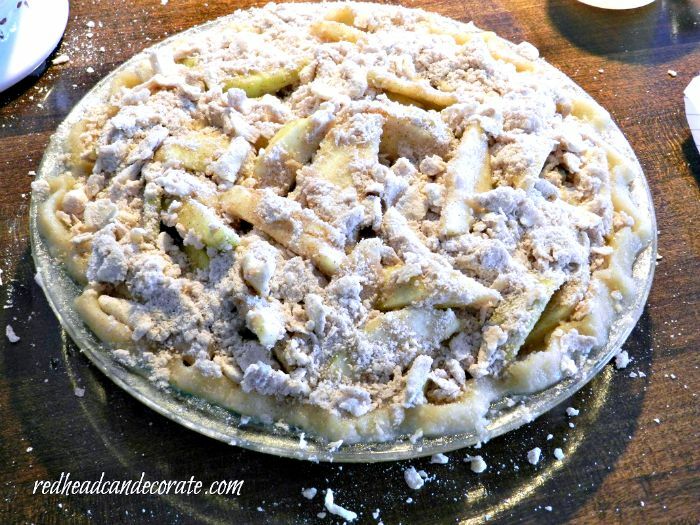 4 Comments on "Dutch Apple Pie"
This looks so scrumptious. I could pretty much eat this for breakfast this morning! So wishing I had a slice of the pie with my morning coffee – yum! !